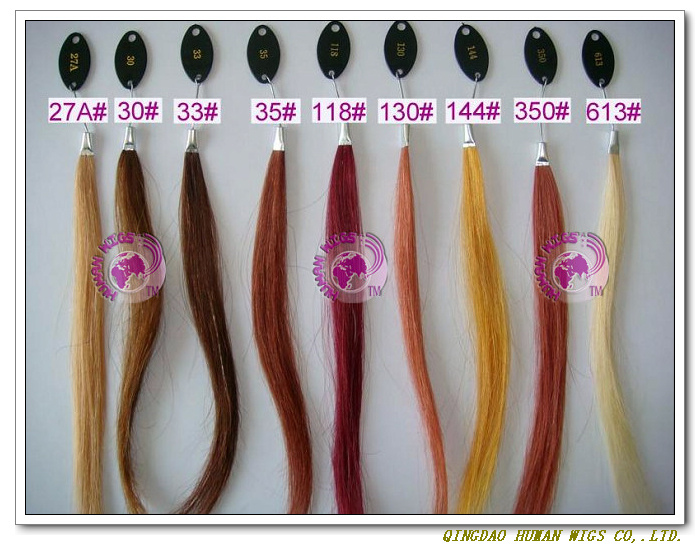 More Info: We can make any texture, any density, highlight color and two tone color on stock wigs within 1- 4 days. if you want make as your photo, add density, make highlight or two tone color, please contact sales. 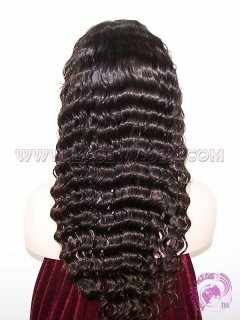 Glueless wigs: above all are availble in cap-12,13,18. 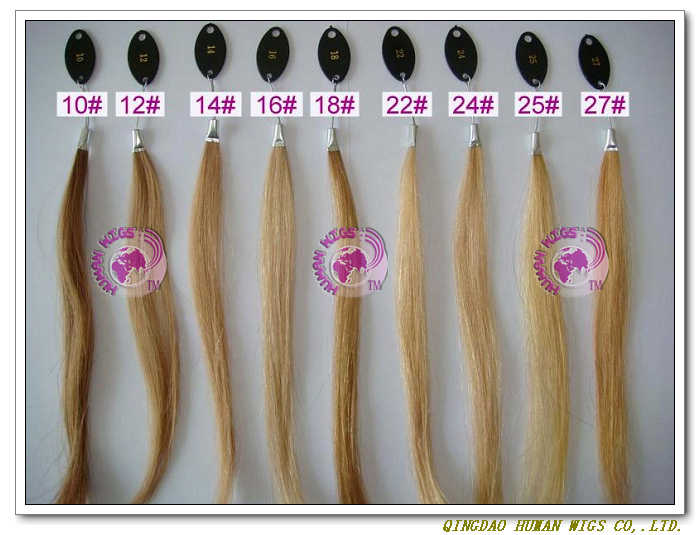 In stock hair length: Indian remy hair: 8"-24"; virgin hair: 8"-30"
Default express is UPS overnight express, it is the fastest. and you can select DHL or Fedex. it will take 1-2 days to USA/Canada, and 3 days to U.K/France/Netherlands/Germany. 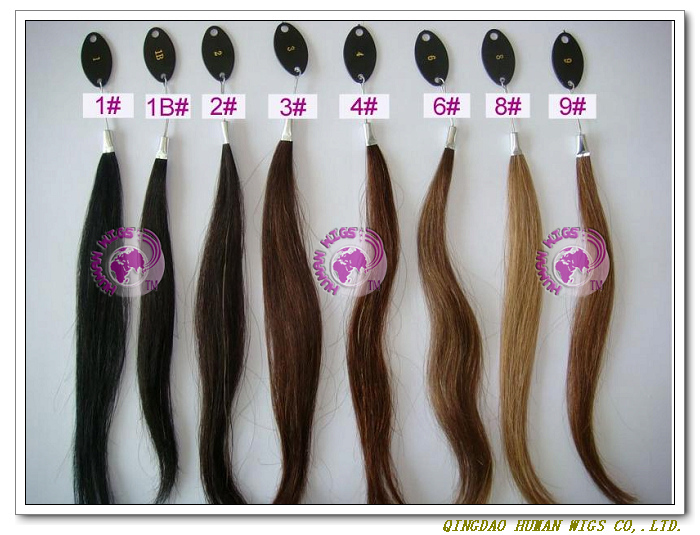 the shipping cost to USA/Canada is $29 for 1-2 wigs, then adding $15 more every 2 wigs. the shipping cost to U.K/France/Netherlands/Germany is $36 for 1-2 wigs, then adding $15 more every 2 wigs. the shipping cost to USA/Canada is $29 within 500 gram, then adding $15 more per 500 gram. the shipping cost to U.K/France/Netherlands/Germany is $36 within 500 gram, then adding $15 more per 500 gram. 1. How to take your measurements? 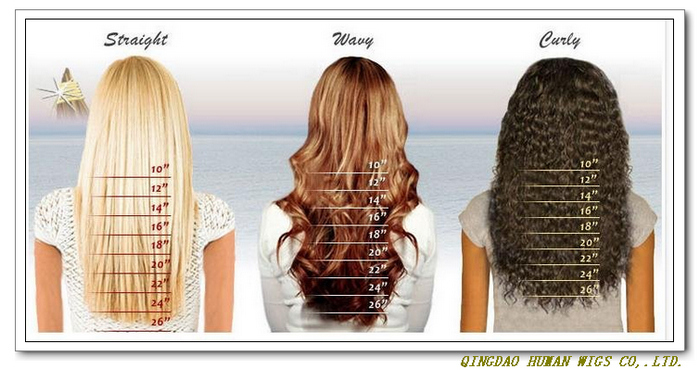 In order to buy the lace wigs which can perfectly fit you, you should take your measurements carefully. 1. Circumference: Measure all around the head. Position tape measure so its edge follows the hair line around the head and nape of the neck. 2. 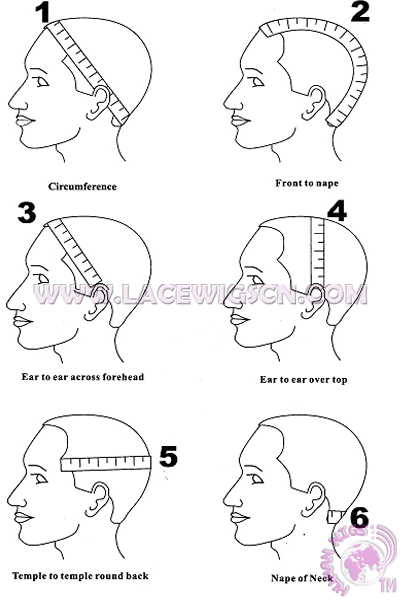 Front to Nape: Measure from hairline at center of forehead straight back over crown to center of hairline at nape of neck. 3. Ear to Ear across forehead: At front of ear, measure from hairline at base of sideburn, up across the hair line along forehead to same point in front of other ear. 4. Ear to Ear over top: Measure from hairline directly above the ear across top of head to the hairline directly above the other ear. 5. Temple to Temple round back: From temple to temple across the back of head. 6. Nape of Neck: Measure the width of hairline across the nape of the neck.